Designed for performance and durability that a contractor expects with the added benefit of a four stroke gas engine. Tried and tested in the harshest working environments this rammers is built to perform. Stress relieved steel plate housing are crack and provide long wear. Aluminum exciter housing dissipates heat rapidly and custom lubricants preserve bearing and seal integrity. The self cleaning plate prevents dirt build-up. The GP2000 is a permutation of the AP2000 where frequency, amplitude, centrifugal force and mass are adjusted to provide optimal productivity in the compaction of sands and gravel. The GP2000 is capable of achieving excellent densities on lifts of granular soils up to 14" (36 cm)*. 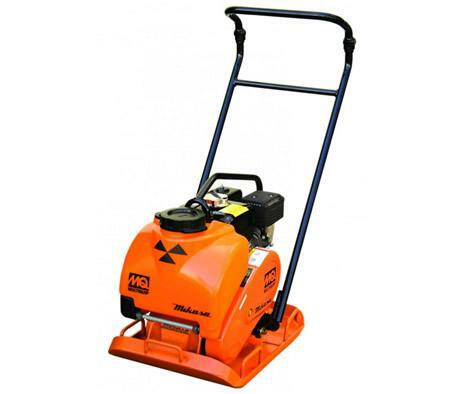 The GPR78H reversible plate compactor combine superior features with unmatched durability. A proven hydraulic shifting mechanism allows for forward and reverse travel plus spot compaction. These plates are easy to maneuver yet highly productive in the field. 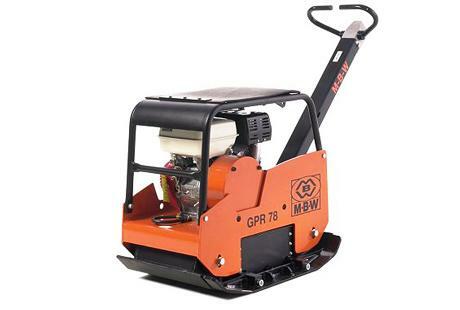 Powered by a 9 horsepower Honda Gas engine the MBW GPR78H hydraulic reversible compactor has plenty of power to accomplish the toughest of jobs with 7,875 lbs of compaction force with compaction depths up to 22 inches. Designed for confined areas where single direction plates fail, MBW's reversible plates excel in trench applications. Additionally, these plates are so productive they can effectively compete in open applications. This translates to a plate that has the capabilities to complete any job you face. 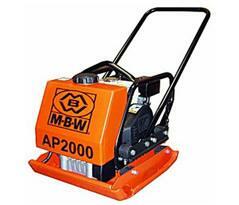 MBW's reversible plates are the answer to your compaction needs. 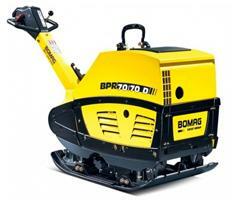 These vibratory plates offer the best compaction of various types of soil. They show their true strength when working on semi-cohesive soils in particular. These reversible plates provide optimum performance along with a variable forward and reverse speed of up to 92 ft/min (28 m/min). Plus, the dual shaft exciter technology provides the maximum possible compaction depth in most types of soil. Easy to use, easy to transport, one of the newest and most technically advanced compactors on the market. 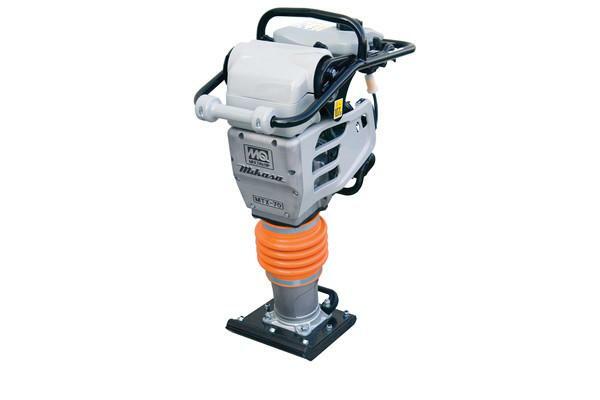 The anti-vibration handle design reduces vibration up to 50% compared to other plate compactors. Mainframe: 14" structural steel I-beam, 26# per ft.
Cross Members: Top 4" channel, 5.4# per. ft. Pierced through mainframe. Bottom 5" channel. Side Rails: 6" structural steel channel, 8.2# per. ft. Rubrails and stakepockets standard. Axles: (2) 15,000# axles with oil bath bearings. Wheels: 8 lug Budd wheels. Bed Length: 25' standard (20' flat/5' dovetail). Bed Height: 36" from ground level (approx.). 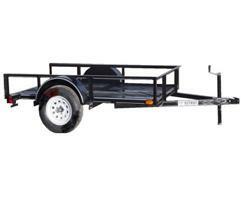 Hitch Type: 4 bolt, 5 position pintle. 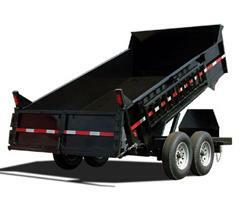 Model Features Include: Our heavy duty Hydraulic Dump Trailers are built to last. The endless variety of attachments and small size make skid steers loaders powerful machines for tough jobs in tight places. 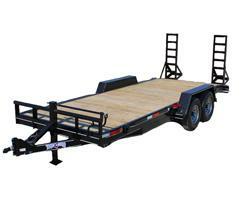 Most skid steer owners are looking for a trailer that is low to the ground with room for attachments and is extremely durable. At last a trencher for your mini loader with legendary robustness & performance. 500, 600 or 900mm digging depths (boom at a 50° angle) available. Trenching widths range from between 100mm up to 300mm wide (50mm increments). All trenchers are supplied with a depth adjusting crumber and a single 350mm clearing auger. A robust hydraulic motor directly drives the drive shaft. This type of set-up reduces wear parts (eg. gearboxes), requires no on-going servicing, and achieves high startup torque. A nose "wheel" guides the chain when trenching. This limits roller wear on the digging chain. Chain is tensioned with an internal bolt. Boom is spring loaded to protect against impacts. 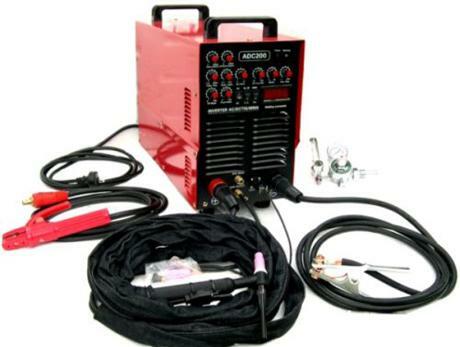 These machines are used for precise and high quality tig welding. The minimum current of 5 amps makes it easy for precise thin sheet application and the wide range covers all sheet thicknesses for tig applications. Pulse frequency control, pulse current control is the secret behind its high preciseness. These machines are useful for both tig and mmaw welding. The arc stability is always the operator to change the current being at the job. 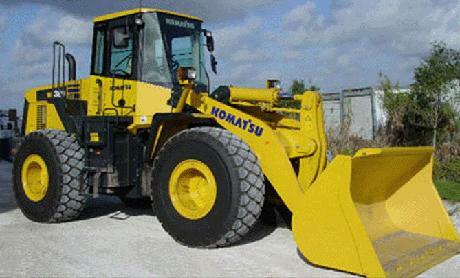 A powerful, turbocharged and air-to-air aftercooled Komatsu SAA6D107E-1 provides 110 kW / 148 HP. This engine meets EPA Tier 3 and EU stage 3A emission regulations, without sacrificing power or machine productivity. 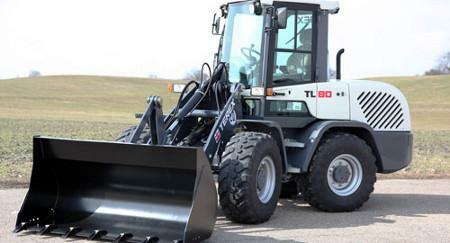 The new WA380-5 wheel loader: The perfect combination of performance, comfort and economy. Never-before experienced comfort in the SpaceCab cabin, enormous tractive force and the lowest fuel consumption in it's class. Operating weight including 7060 mm 23'2" one-piece boom, 3380 mm 11'1" arm, SAE heaped 1.94 m³ 2.54 yd³ bucket, rated capacity of lubricants, coolant, full fuel tank, operator, and standard equipment. Operating Weight: The TL 80 has an operating weight of 11,465 lbs, which is 7.6% heavier than the average compact wheel loader. Power: This loader has a net power output of 59 HP, making it just as powerful as a typical competing model in its class. Operating Load: It can lift up to 3,781 lbs, 8.6% more weight than the average for this segment. Bucket Capacity: The TL 80 has a standard bucket capacity of 1.05 cubic yards, meaning it can carry roughly the same as the load expected of a typical compact wheel loader. Travel Speed: This model can travel at speeds up to 4 mph, 7.8 mph slower than the average competitor. Operating Weight: The R520S has an operating weight of 8,980 lbs, which is 16% lighter than the average compact wheel loader. Power: This loader has a net power output of 44 HP, making it 27% less powerful than a typical competing model in its class. 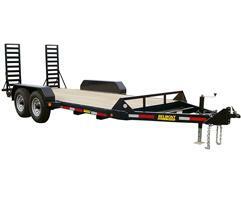 Operating Load: It can lift up to 2,205 lbs, 37% less weight than the average for this segment. Bucket Capacity: The R520S has a standard bucket capacity of 0.75 cubic yards, meaning it can carry 0.36 cubic yards less than the load expected of a typical compact wheel loader. Travel Speed: This model can travel at speeds up to 12.5 mph, 0.7 mph faster than the average competitor. 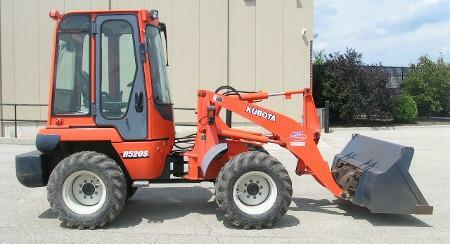 The WA150-6 has an operating weight of 17,311 lbs, which is 53% lighter than the average full-size wheel loader. With a net power output of 98 HP, it is 50% less powerful than a typical competing model in its class. 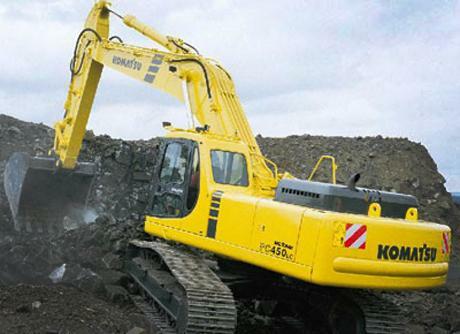 The WA150-6 has a standard bucket capacity of 2.00 cu. yd., meaning it can carry 1.92 cu. yd. less than the load expected of a typical full-size wheel loader. Traveling at speeds up to 3.4 mph, it is 18.3 mph slower than the average competitor.